This is a 5 part Mix Series & Tribute dedicated to the one and only “Rod Lee”. Without a doubt one of my personal favorite and most respected producers in the Bmore Club Game. For anyone who is not familiar with Rod Lee, he is undoubtedly one of the most recognized Baltimore Club Producers to come out of Baltimore City. His unique style of producing Baltimore Club tracks can never be duplicated. Along with his tremendous production work on Baltimore Break Beats, he is multi-talented and lays his own vocals and rhymes over his very own beats. His production work is the very definition of Elite. In the case that you have been hiding under a rock for the last 10 to 15 years and have no knowledge of Rod Lee’s music, you have truly been deprived. Whether you are a fan of Baltimore Club Music or not, his club tracks are guranteed to put a smile on your face and leave you beggin for more. This mix project and tribute was initially intended to be a 3 part series. After listening and refreshing myself to the assortment of music gems that he has produced, 3 Volumes simply was not enough. 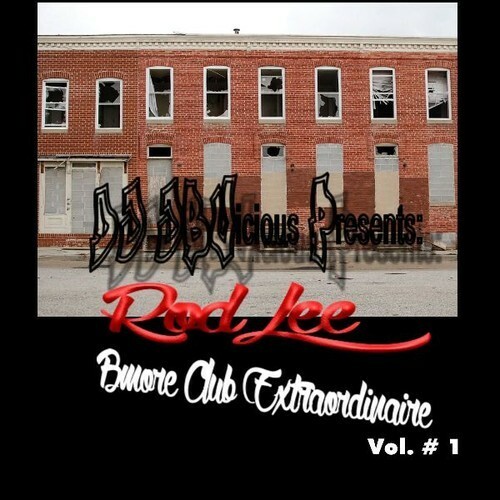 My goal was to represent Rod Lee’s signature Bmore Club Sound like no one ever has. Anyone not priveledged to Rock Off to his music, the time is now!